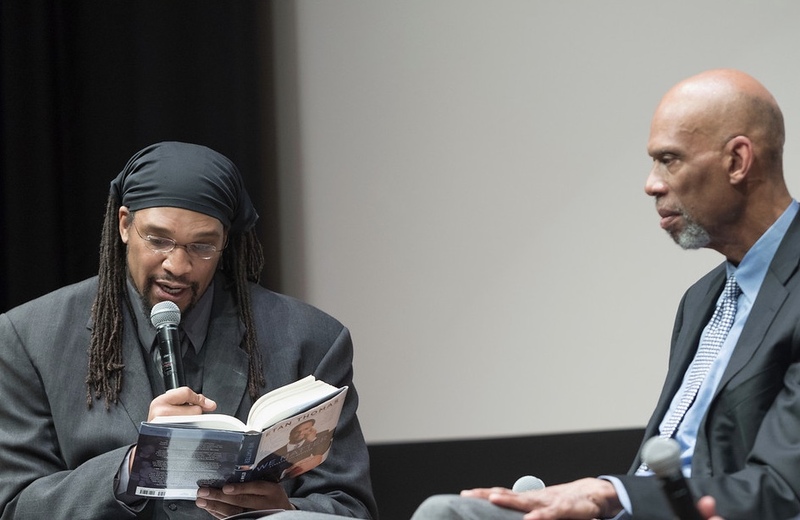 After spending nine years in the NBA, Etan Thomas is making an impact around the world as an activist through his motivational speeches and influential books on social activism. Sports contain a plethora of amazing athletes that perform at the highest level in the world, but lost in the shuffle is the power for these players to make a significant change on the world we all live in. While their athletic accomplishments are astounding, making an impact that doesn’t pertain to just sports is a far greater achievement. Fox News host Laura Ingraham made headlines when she used the phrase “shut up and dribble” toward NBA superstar LeBron James on-air. Despite his achievements on the hardwood and in his hometown of Akron, the All-Star forward’s opinion wasn’t considered smart because of his profession. Over the past few years, racial inequality continues to be put on display. Whether a person of color is getting treated unfairly by the police or minorities are receiving unnecessary hatred, it’s become very apparent that society still discriminates against one another. Social activism takes on many forms, yet its intention to make change around the world never changes. 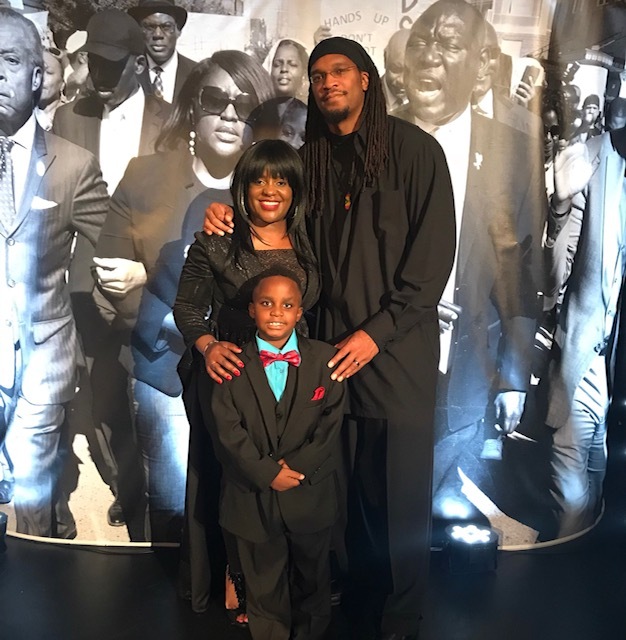 Fortunately for the basketball community, Etan Thomas has focused on a larger impact on society than he did on the court. Thomas spent nine years in the NBA, but his biggest contribution to sports is coming from his non-athletic acts. From releasing a book in 2005 called “More Than An Athlete” to writing poems and essays about the tragic death of Trayvon Martin, Thomas has found multiple ways to let his voice be heard. For Thomas, he’s valued his opportunity to make a true difference in the world. In September 2005, Thomas spoke out at an anti-war rally in Washington, D.C. At the time it might have seemed like an unusual occurrence for the Syracuse alum, but it was just the beginning of his work on the political and social scale. Thomas went on to write a number of blog posts, which have appeared on The Washington Post, The Huffington Post and ESPN. His articles usually cover the lack of unity between professional sports leagues and their players. In 2009, Thomas won the Dr. Martin Luther King Jr. Foundation, Inc. Legacy Award for his courage to stand for what he believes in, which was before he even hit the ground running with his contributions to society. Over the past decade, Thomas has let his voice be heard, yet he believes today’s generation has an easier path to raising awareness for the social issues. When discussing a sensitive topic such as social injustice, it takes courage and the ability to stand your ground. “I constantly hear people say, ‘what are athletes doing in their free time, when they are not taking a knee, when the cameras aren’t rolling or when the press isn’t there,’ and Etan Thomas is a prime example of an athlete who people can point to and show exactly what he has been doing,” Bodger said. Athletes constantly amaze people with their production on the field, yet they have the power to do so much more if they use their voice. 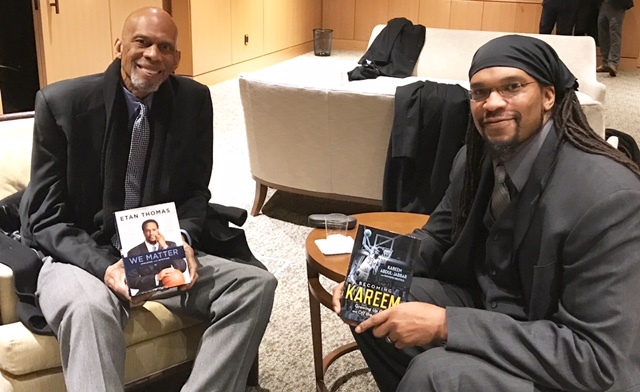 Etan Thomas will be remembered as more than just a basketball player, he’ll go down as an inspirational leader that made his mark far beyond the lengths of an NBA court.